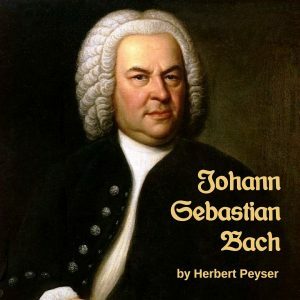 Johann Sebastian Bach was a German composer and musician of the Baroque period. He enriched established German styles through his skill in counterpoint, harmonic and motivic organization, and the adaptation of rhythms, forms, and textures from abroad, particularly from Italy and France. Bach’s compositions include the Brandenburg Concertos, the Goldberg Variations, the Mass in B minor, two Passions, and over 300 cantatas of which around 200 survive. His music is revered for its technical command, artistic beauty, and intellectual depth. Bach’s abilities as an organist were highly respected during his lifetime, although he was not widely recognized as a great composer until a revival of interest in and performances of his music in the first half of the 19th century. He is now generally regarded as one of the greatest composers of all time. Bach’s life had none of the drama and spectacular conflicts that marked the careers of men like Mozart, Beethoven, and Wagner. His travels, far less extensive than those of his great contemporary, Handel, were confined to areas of a few hundred miles at most in central and northern Germany and were undertaken chiefly for sober professional purposes. This record (according to the author) advances no claim whatever to any new or original slant, aims to do no more than furnish for those who listen a meager background of a few isolated high spots in Bach’s outward life and a momentary side glance at a tiny handful of his supreme creations.